I hope you had a fantastic Christmas and New Year. A new year comes with challenges and expectations, trying new things and creating resolutions to change your life. Do you want to be happier or more confident? Do you want to try learning new skills or meet new people? Would you like to do something fun? Why don’t you make 2016 the year to try something new, get out of the rut and get things done. I’ve got exciting news at Genna Design, I’ve finally plucked up the courage to start my own jewellery classes. Would you like to learn how to make your own silver ring? No mater what age you are and if you’re male or female, I can help you design and make your own ring. No prior knowledge needed. My classes are different from the normal ring making class where you are just shown how to make the same ring as everyone else. As I offer a bespoke jewellery service, I am carrying this forward to my ring classes. I can help you design your own ring and show you how to make it. So you don’t need to do the class yourself, you can treat a loved one to a special gift for Valentines Day, a birthday, anniversary, hen party, a ladies day afternoon. 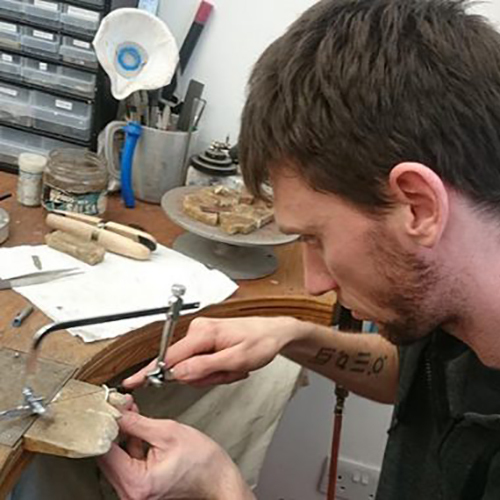 Whatever the occasion a ring making class will be a fantastic gift and lots of fun! Classes will be held in my WASPS Studio in Dundee on Saturdays and Sundays from 12-4pm. Bespoke, one to one classes for individuals are £200. This includes tea, coffee, light refreshments and silver. Group classes start at £80 per person with a minimum of 2 people and a maximum of 4 people. If there’s another date you would like to do, just email me.